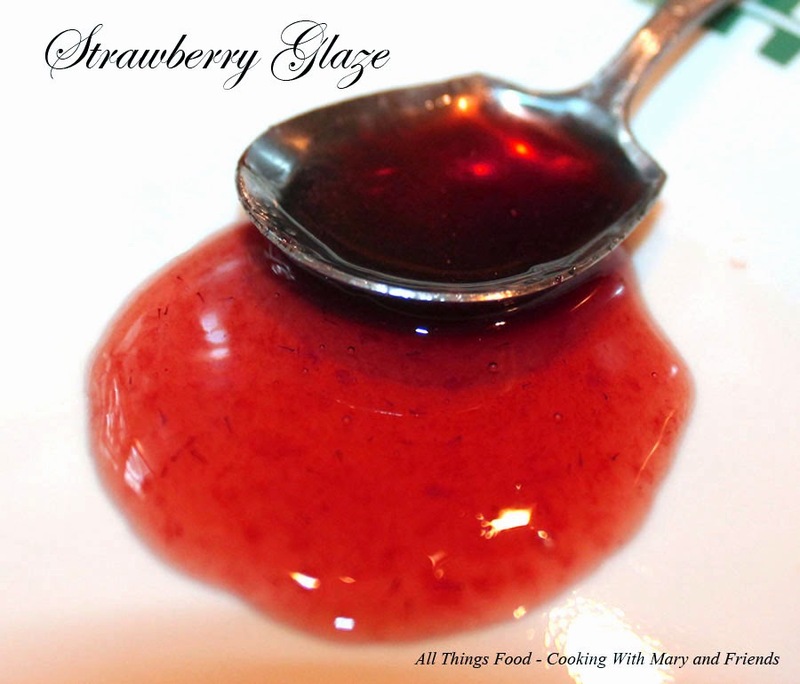 I love Strawberry Glaze, but I like to make my own with fresh strawberries I get from my local farm. So good and super-easy to do! Combine the water, strawberries, sugar, and lemon juice in a large saucepan on high heat. Stir thoroughly while bringing it up to a boil. After the mixture begins to boil, reduce the heat to low, and allow to cook for up to ten minutes, occasionally stirring throughout. As the strawberries soften, use a wooden spoon to break them in pieces to release the flavors from the strawberries. Remove from heat. Using a strainer, pour liquid into a bowl ensuring to press as much juices through strainer with wooden spoon. Dispose any of the solid strawberries leftover from mixture, and return liquid to pan on low heat. Meanwhile, whisk the ClearJel with 3 tablespoons of water in a small bowl. Then, pour into the simmering pan of strawberry juice. Increase heat to high, and continue to whisk the mixture until it thickens into a glaze (approximately 3-5 minutes). Remove glaze from heat, and pour into canning jars. Cover jars with lids and rings and process in boiling water bath 10 minutes. Remove from heat, remove jars and allow to cool on a kitchen towel on your counter-top 24 hours. Store in pantry. If not canning, store in refrigerator.